As in past years, the 2018 Concert Series has 8 concerts with a variety of musical styles and, as in recent years, the concert committee has made an effort to include many professional bands with local UC residents. There’s lots of variety and every band is one of the best in San Diego at their musical style. Hopefully there’s something for almost everyone. 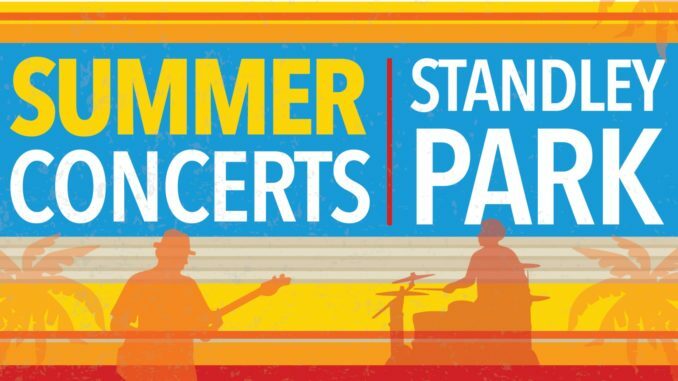 All concerts are at Standley Park, 3585 Governor Drive; and all concerts this year will be on Sundays from 5 to 7 PM. Please note, all concerts are subject to cancellation due to inclement weather.